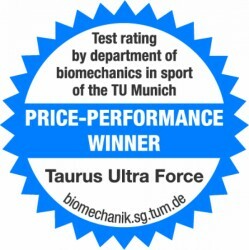 The Taurus multi-gym Ultra Force Pro is very silent thanks to the hydraulic system. The total resistance of this pro version can be adjusted up to 125 kg! That's more than most common multi-gyms offer! The Ultra Force Pro is silent. Weight plates do not crack one on top of the other and the noise of weight plates does not disturb, when you use the Taurus multi-gym Ultra Force Pro. You can train with the Ultra Force in the living room without disturbing someone. The Ultra Force is light. The weight block of common multi-gyms weigh 60 kg at least. Once such a multi-gym is built, it remains built in place. The hydraulic system weighs less: The Taurus multi-gym Ultra Force Pro can even be moved. Hence, transport wheels are mounted on the fitness machine. The Ultra Force Pro is precise. The weight resistance can be adjusted in 1.25 kg increments on every arm. The weight can be adjusted more precisely than it is possible with common weight stacks. Furthermore, the Taurus multi-gym Ultra Force Pro offers a maximum resistance of 125 kg, i. e., with the chest press - a distinctive value. 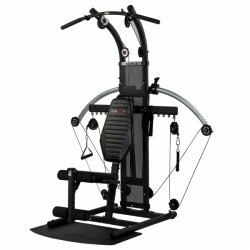 Another advantage: Due to the hydraulic system, you can use the Taurus multi-gym Ultra Force Pro even in weightlessness. The resistance is not generated by gravity but by the compression of the nitrogen in the cylinders. This type of resistance generating is very constant. Adjusting the resistance is quite easy. Both arms have a slide bar for adjusting the resistance. Just smart: The resistance can be separately adjusted for both arms. So you can compensate muscular imbalances, for instance. If your right arm is injured, for instance, it is less trained than the left one. You can do a special building training with the Taurus multi-gym Ultra Force Pro. Thanks to the flexible cable pull system, the Taurus multi-gym Ultra Force Pro offers a remarkable range of exercises: More than 100 exercises and varieties are possible. The change of exercises is quite easy: The pulleys are suspended with snap hooks. Several eyes are mounted on the multi-gym, where the pulley can be attached - depending upon your choice which one of 100 exercises you want to do with the Taurus multi-gym Ultra Force Pro. Thanks to instructions designed by sports scientists and technicians, the assembly is quite easy and the start to work out is very easy and mainly effective thanks to professional training tips. We wish you a lot of fun with the training! Einfach toll - der Aufbau ist einfach und logisch - sehr gute Qualität - viele Kraftrainingsmöglichkeiten etc. gute Standfestigkeit - ohne Gewichte dafür ein Hydraulik-Widerstandssystem und geringer Platzbedarf. Ich kann dieses Produkt absolut weiterempfehlen ! Danke an Sport Tiedje für den sehr guten Support. Die Kraftstation ist toll. Der Aufbau war relativ einfach und auch die Benutzung ist sehr gut beschrieben. Der Kundenservice von Sport-Tiedje ist wirklich super und hilft sofort. Bin begeistert. Door de "veren" in plaats van het gewichtenblok is het station niet zo zwaar. Bovendien kan je er tot 125kg op trainen, dat is voor mij meeeer dan genoeg. Taurus Ultra Force handle set In stock! Taurus one-hand handle for strength training In stock! 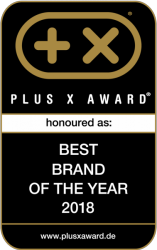 Taurus multi-gym Ultra Force Pro add to comparison list.